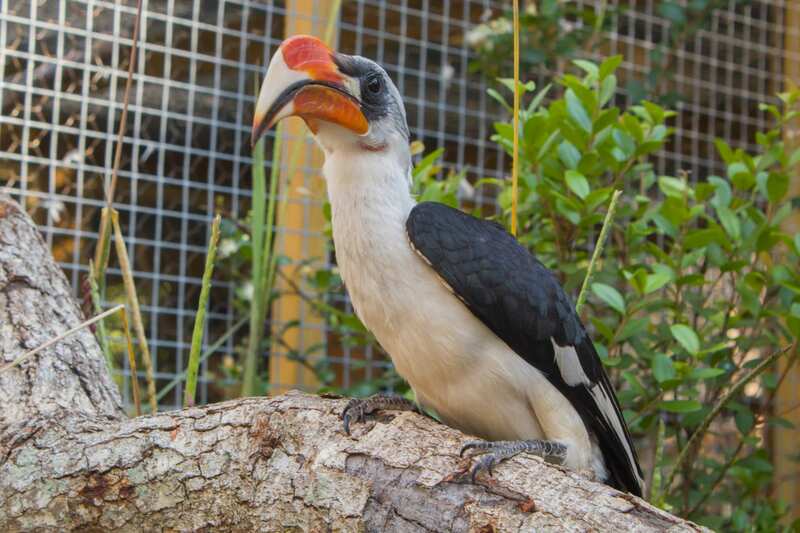 Von der Decken’s hornbills have a mutualistic relationship with dwarf mongooses—they follow troops around feeding on insects and lizards fleeing these tiny mammals. 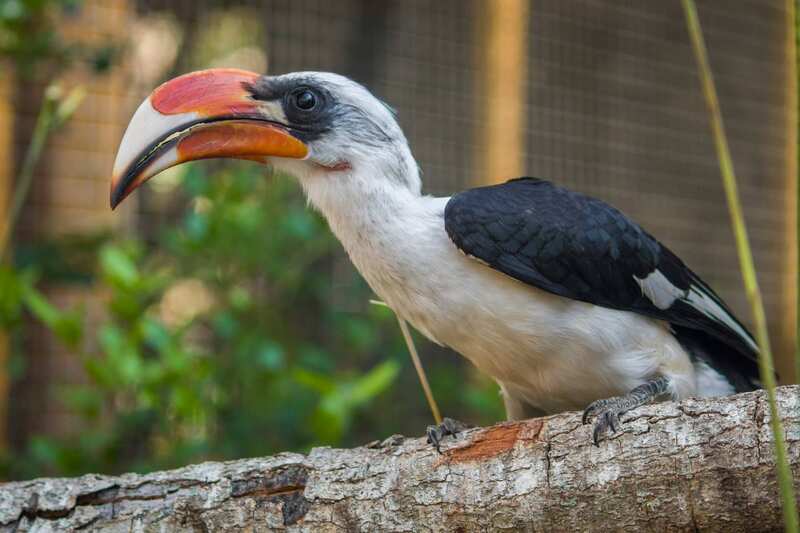 In return, the hornbills make loud calls alerting when predators are near. 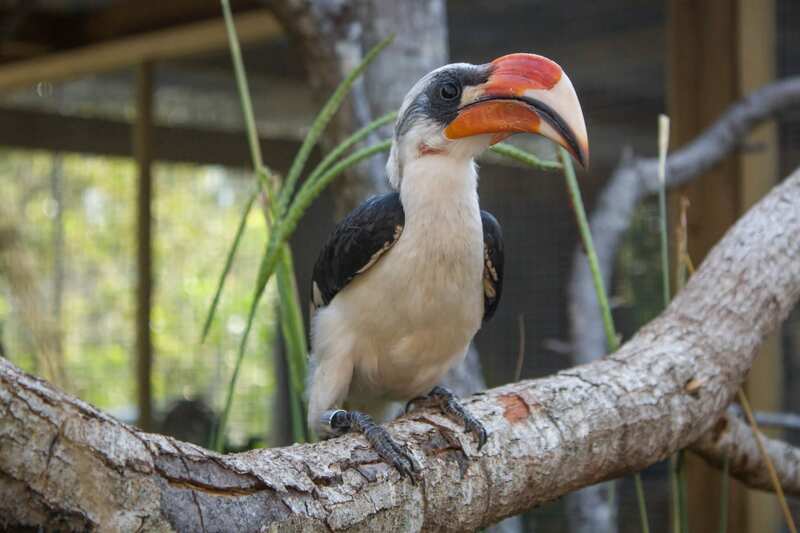 Both species adjust guarding behavior based on what the other is doing. 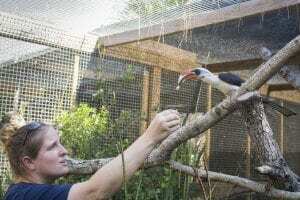 Due to the limited resources in their natural ecosystem, these birds are opportunistic meaning they may even steal eggs from other birds’ nests as a food source. Couples will make a nest inside a hollow tree and seal the female inside using mud and saliva that dries with the sun. 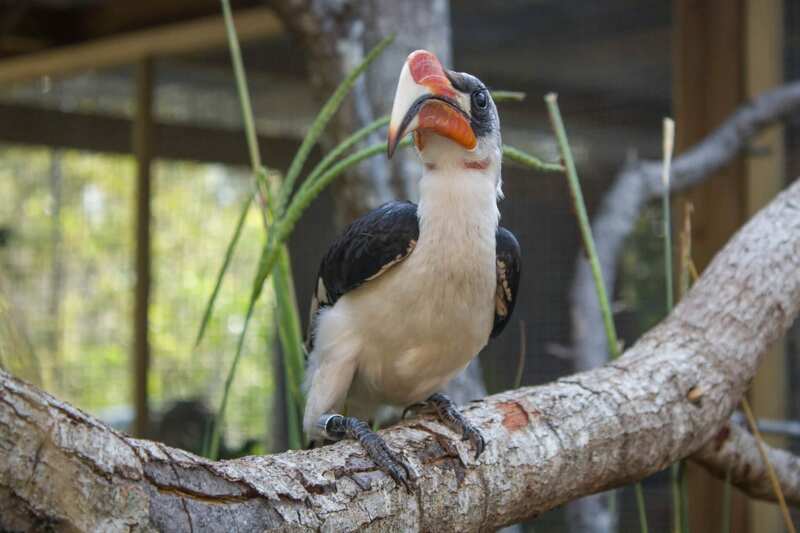 A small hole is left so the male can pass food to the mother and chicks. 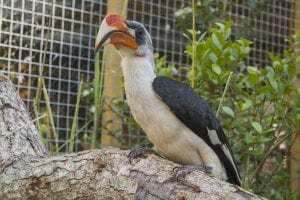 Von der Decken hornbills are named after a German explorer who studied and wrote about the bird while in Africa, Baron Karl Klaus von der Decken.